Hey Creatives! Last week we rolled out a terrific set of Water Splash Brushes for Photoshop. This time, we’re doing a little something for our Devs! 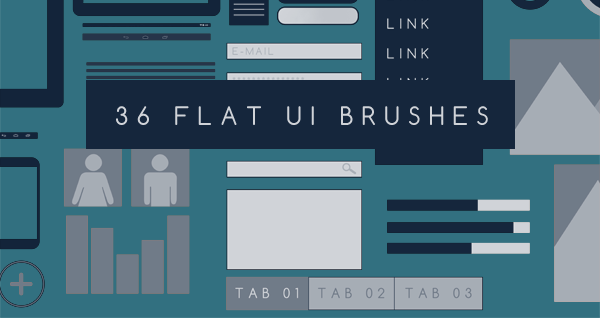 Here’s a small brush kit of UI tools for prototyping and mocking up mobile websites. Works best when you use the brushes at a 100% opacity. Because it’s a brush – it also lets you work fast and loose with the colors. Show us what you do with it or leave us some love in the comments below. Stay creative everyone!